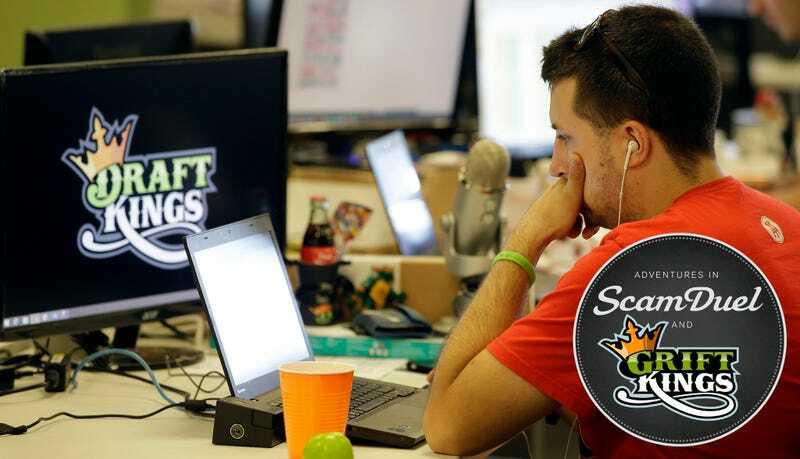 According to a report from the Wall Street Journal, the FBI and the U.S. Department of Justice have both opened probes into daily fantasy sports in an attempt to determine whether they are legal or not. The Journal says there is an “ongoing discussion” within the DOJ regarding the legality of daily fantasy, and whether it actually exempt from the Uniform Internet Gambling Enforcement Act. The New York Attorney General has already asked the two most prominent daily fantasy sites, DraftKings and FanDuel, to turn over heaps of documents, in addition to inquiries from the Massachusetts Attorney General, two congressional committees, and a federal agency. In not entirely unrelated news, today New Jersey scored a legal victory when the Third Circuit Court of Appeals agreed to a rehearing of a previous ruling that squashed the state’s attempt to legalize sports betting. Want to solve the problem of opaque daily fantasy companies operating sketchily and misleading customers? Call it gambling, legalize gambling, and regulate it. Photo via AP; illustration by Jim Cooke.